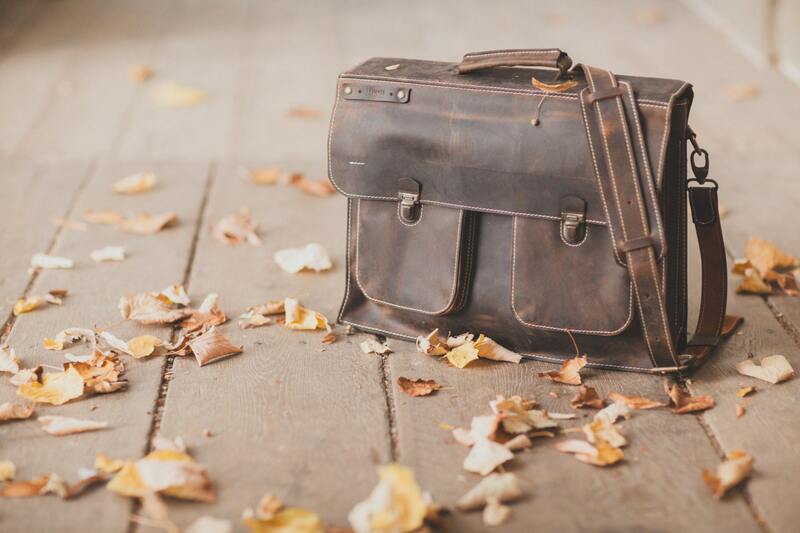 A perfect messenger briefcase perfect for any kind of business person. 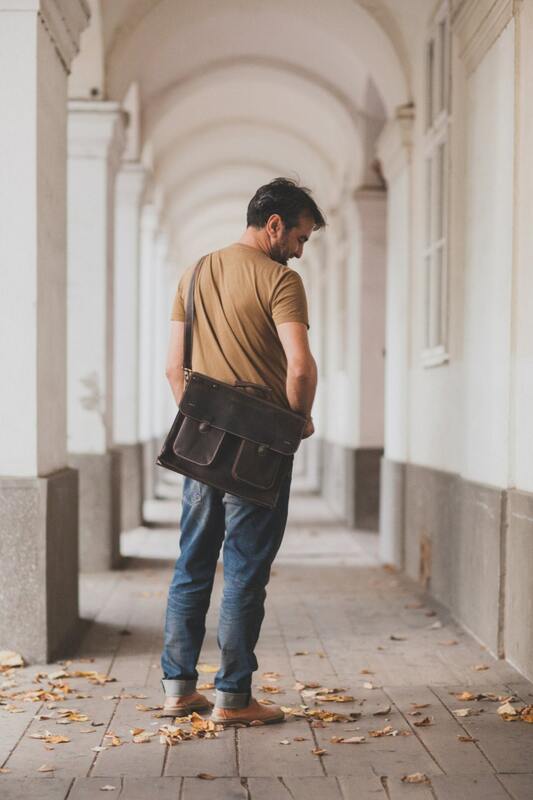 Unisex, double compartimented, pokets by the inside, spacial places for writing tools, Perfect to wear on your hand, on your shoulder or crossbody. 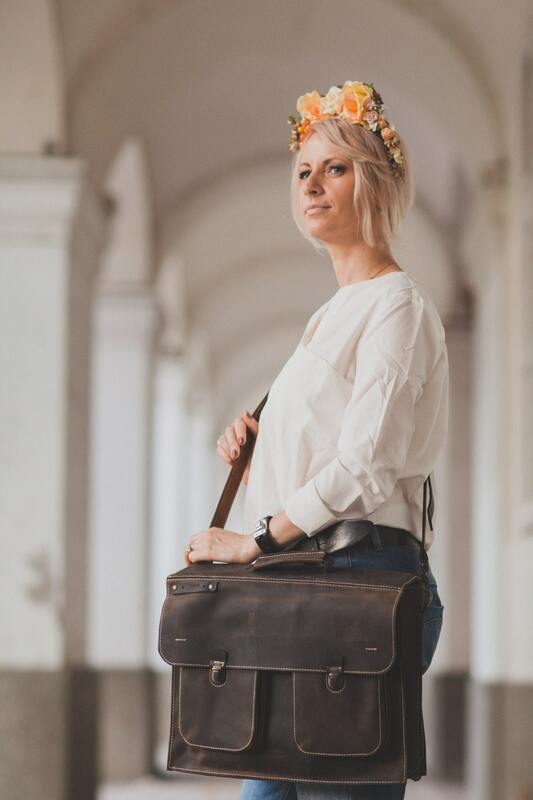 The leather has a vintage aspect. Impermeable. The tic-tuc enclosers are vintage. 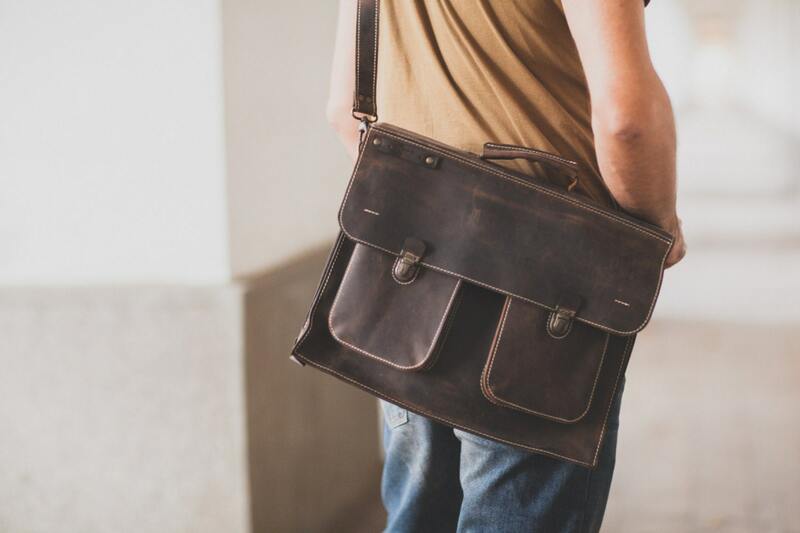 For a custom order we can design this briefcase for a 17 inch laptop.